This is the ultimate guide to getting your brain in tip-top shape and keeping it healthy via the foods you eat. With a worldwide ageing population, and cases of dementia as well as severe depression and anxiety alarmingly on the rise, the need to look after your brain optimally has never been more important. It has now been proven beyond a doubt that it is possible to improve focus and memory, reduce stress and anxiety, and think more clearly simply by enjoying a diet rich in the right nutrients. 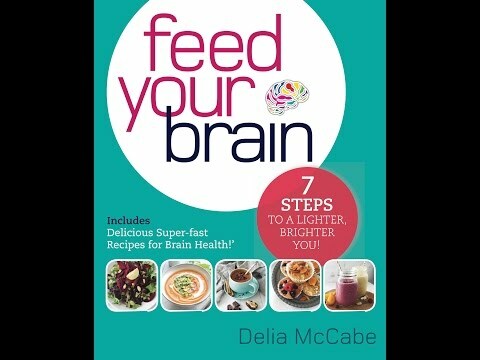 Delia McCabe has a Masters in Psychology and is completing her doctorate in nutrition. For the past 20 years she has researched how food influences brain function, and she now presents seminars teaching people how to achieve optimum brain health via nutrition. "Feed Your Brain was a real eyeopener..., knowing what I do now I will definitely shop more consciously and choose specific foods that will make a difference. I also appreciate that Delia's message is backed up by reliable studies and proven research, so you can create your healthy eating habits with confidence"